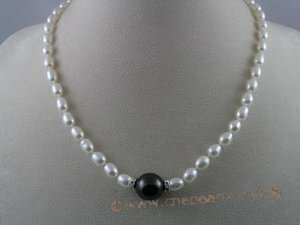 Beautiful necklace consisting of white genuine freshwater cultured rice shape pearls, and a piece 14mm black seashell pearl set in the centre as well as two pieces zircon inlaid spacers making it a special look. 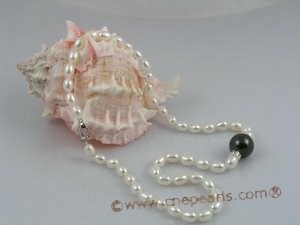 The pearls measure approx. 6x7mm in size, lustrous. 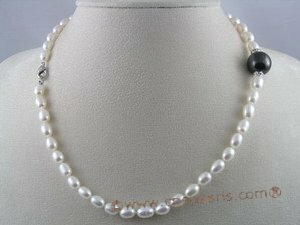 The necklace is 16" in length including the silver or sterling silver lobster clasp !.